It was again the time of the year to get your best suit on and head towards the booths shining brighter than diamonds. 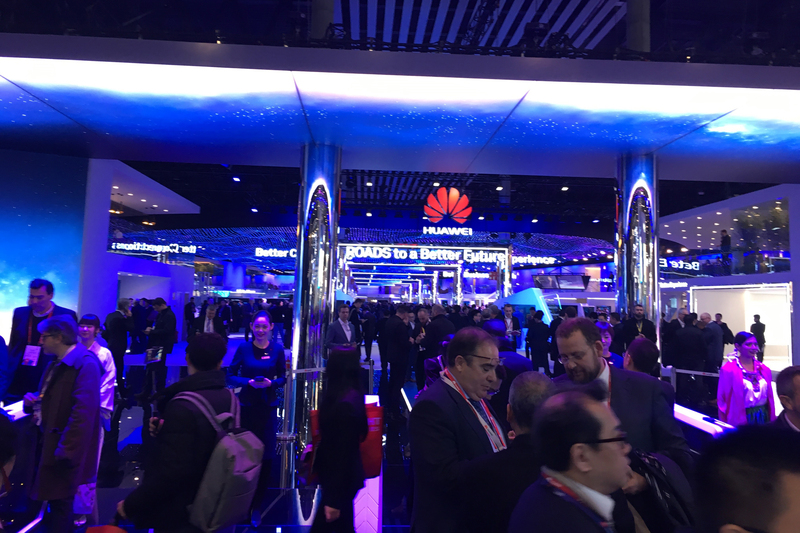 In other words, it was the Mobile World Congress in the lovely Barcelona. The show was all about 5G. We learnt what it does to help us, what it feels like and what it looks like. 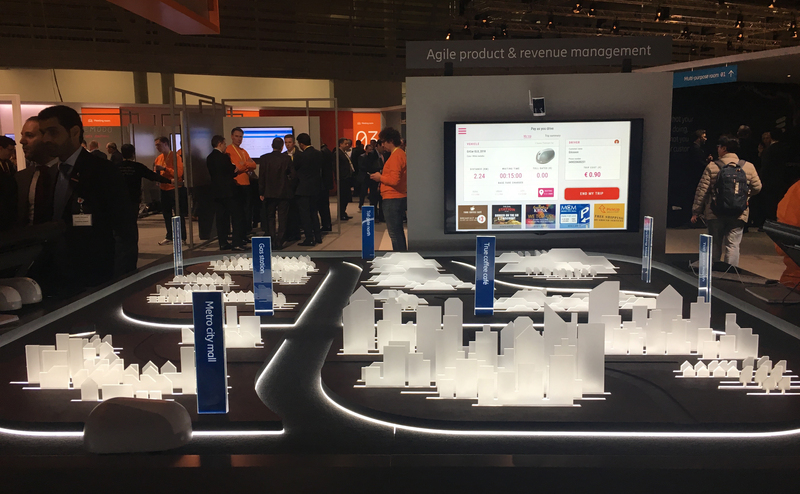 The practical benefits of 5G were revealed with a Nokia demo showcasing an accident happening in the city traffic. Immediately, the accident is detected by AI. Most capacity is instantly and automatically directed to communication to those needed to help, ambulances and fire department, away from casual browsing. This means prioritizing saving lives over Netflix. This is what do network slicing, self-optimizing networks and the like really mean. Combined with AI, they mean efficiency and speed with the capability to adapt to changing situations. The network is built in one way, but it can be used in the way that is best for the task at hand. What does low latency feel like? Now we know that, thanks to a demo by Ericsson showcasing remote controlling an excavator. First, the latency was set to 50ms, a typical 4G value. There was visible delay in the response, and the overall feel was unpleasantly sluggish. 5ms, a 5G latency, felt like actually being in control of the machine, then and there. What does low latency look like? It looks really good, showed the demo by Docomo. 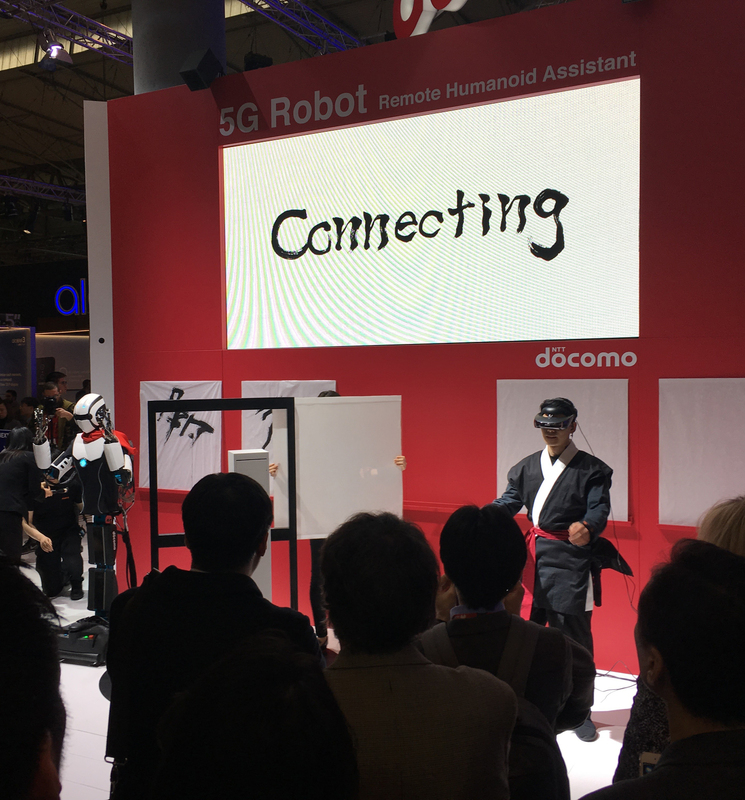 The controller donned a VR suit to guide a robot to paint on a canvas. It apparently looks amazing, when used to enable VR. 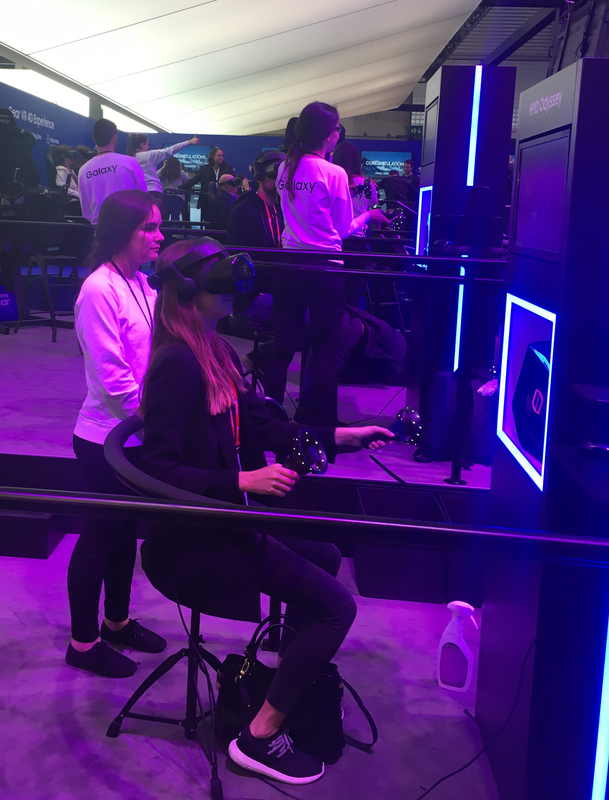 The ubiquitous VR demos were packed all through the show, with such long lines that our team had to forgo the entire experience. The new insights on 5G give us some food for thought, but what about the body, then? Our guys managed 15 000 steps per day (confirmed by their Polar Loops) roaming the halls, gaining sore feet and fresh ideas. 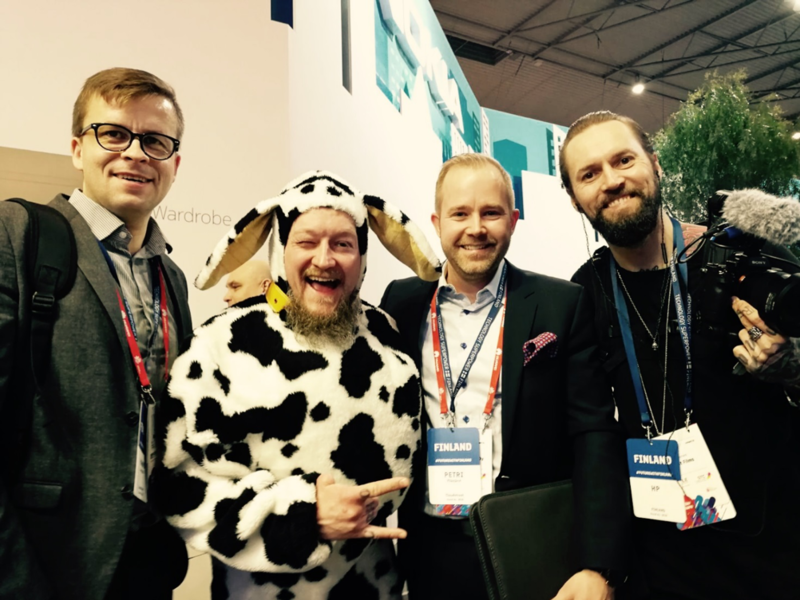 Hannu and Petri met also some very serious businessmen at the Business Finland booth. Hannu, Jarppi, Petri and HP enjoying the show. Bye Barcelona, see you next year! Recommendations: DO not dress as a cow, it’ll be hot. Restaurant Lounge My Way. Good tapas. Book your restaurant in advance.